ONLY FIRST 30 COPIES WILL ARRIVE WITH PRO-PRINT PROMO PICTURE (For orders ONLY through our online store)! Finally, one of our favorite bands from the mighty Texas is added to the Arkeyn Steel Records roster! Their “Illusion” CD which was privately released back in 2002 was always a top pick in our playlist and we always thought that this material deserves a proper re-release. Their next step was their “Illusion” debut which was first released as a very limited edition of 30 CD-r copies that were offered on a band’s show back on 2001. This edition featured a little different artwork compared to the official private pressing of 1000 copies that was finally released on April of 2002. Needless to say that the CD was sold out quite fast and became one of the most desired items for the US Metal CD collectors worldwide. No other recordings were made by TYR except the track “You Can’t Run Forever” that was recorded back in 2007 before their final disbanding. 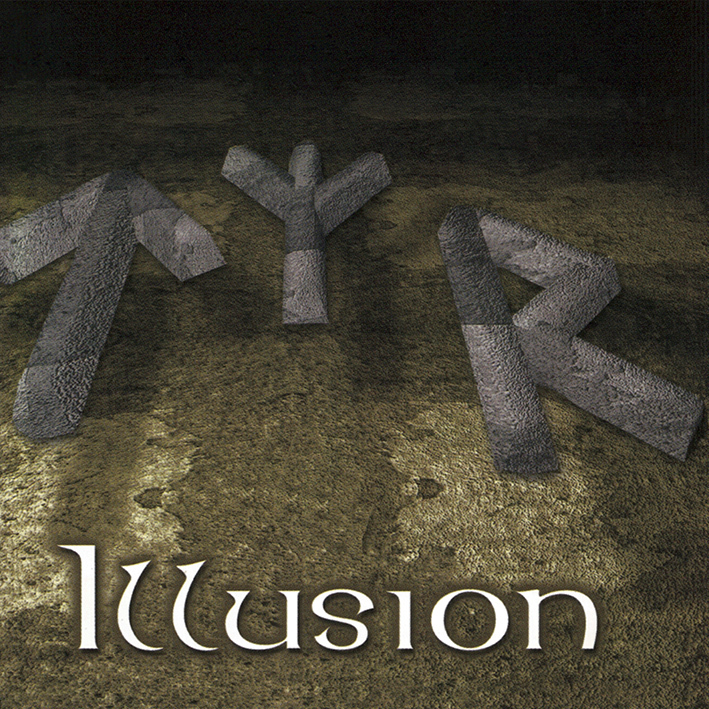 Arkeyn Steel Records gathered all the band’s recordings and now presents a re-release of the “Illusion” CD featuring the 1999 demo plus the unreleased 2007 track as well. Everything is remastered from scratch, never before seen photos are added, lyrics and info complete the package, making this release the ultimate re-presentation of TYR’s saga.